Gero Leson is Vice President of Special Operations at Dr. Bronner’s, a top-selling brand of natural soaps. He has helped establish organic and fair-trade projects in Sri Lanka, Ghana, India and Samoa in order to ensure his business has sufficient supply of organic and fair trade coconut, palm and mint oil, the primary raw material for their products. Dr. Bronner’s contributed to a campaign to ban the addition of palm oil into diesel fuel in the EU. Leson’s key concern is for biodiversity. When the price of crude oil goes up, demand increases for the cheaper palm oil that is added to diesel fuel and heating oil. This encourages the giant agribusinesses to expand further into the rainforests of Indonesia, Malaysia and Borneo with catastrophic effects on the wildlife there, including the endangered and beloved orangutan. Leson advocates businesses taking more responsibility for sourcing of their raw materials to ensure they cause no harm and, ideally, shifting to having a beneficial impact in the areas where they operate: “The problem with the mass production of palm oil is that corporations are doing it on a vast scale using industrial methods - monoculture production with high levels of petrochemical inputs. Our model of farming supports small-scale family farmers who, when working organically, can improve the productivity of their smallholdings without the use of chemical fertilizers, pesticides and herbicides”. These smaller farm units, essentially small businesses, than hire people who work skillfully within diverse plots that allow wildlife to co-exist with farm production. If industrial scale plantations transitioned to these models of regenerative agroforestry we could meet global food demands without further forest destruction. 14 million hectares of Indonesia are oil palm plantations, which equates to almost half the area of Germany. However, two key pathways to a sustainable future have been identified. The first is transforming agriculture from being a destructive resource drain into a regenerative force, which builds soil, absorbs carbon from the air and creates abundant, healthy food near to where it’s consumed. The second depends on executing The Great Energy Transition - rapidly phasing out fossil fuels and creating a joined-up renewable electrical infrastructure that connects concentrated solar thermal arrays in remote deserts into charging electric cars plugged into efficient homes in smart cities. Many of the biggest economic entities on earth are the giant petrochemical companies that fuelled the age of heavy industry. Exxon Mobil alone is economically larger than Ireland. These giants have become adept at broadcasting their agenda and it’s widely believed that fossil fuels are essential to feed the world. However, fossil fuel-driven farm production and petro-chemicals have degraded soil, drained lakes and created giant dead zones in oceans, so this propaganda is revealed as fake news. Industrial food production isn’t the solution it is the problem. A sustainable future society depends on the citizens of the world untangling the complex corporate Big Food / Big Energy nexus that is behind most planetary ecocide. Small-scale farming is also being encouraged in developed countries. 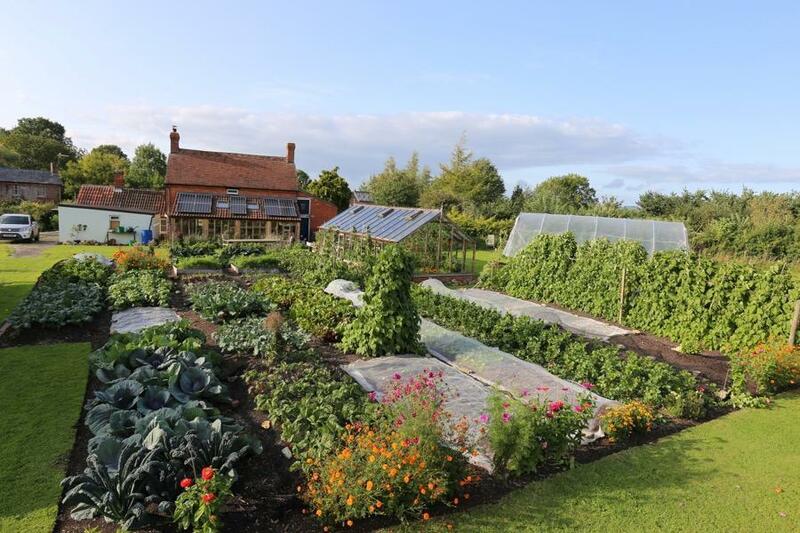 Charles Dowding, a UK-based food grower, author and teacher thinks that many more people could grow food – and improve its quality and sustainability. He has converted the garden of his home into a stunningly productive plot that is visited by people from all around the world who are keen to learn how it’s done. He is adamant that increasing local food supply is both feasible and desirable: “It looks to me that governments are too aligned with corporate interests for anything to change at the macro scale. So the only solution for making things better is what we can do ourselves, and growing food is one possibility. I see my work as encouraging and helping anyone with access to land or just a balcony to grow healthy food, connect with nature through plants and be less dependent on a system that looks increasingly fragile, both economically and ecologically.” From school yards, roofs and car parks through to back gardens - there are many spaces near people’s homes that can be converted for food production. Not only does this avoid the destructive corporations, it delivers higher quality food without the food miles and also creates meaningful work for many people. Detroit is an oft-cited example of where independent food growing emerged unexpectedly in a post-industrial landscape with multiple benefits for local communities. Both the energy transition and tackling corporate control of global food supply requires the rapid disruption of outdated thinking. Corporations wield disproportionate power in the “free” market. If it suits the business model of giant agricultural and petrochemical companies to add plant-based oils into the fuel supply they will do this regardless of the damage it causes. In a capitalist system that serves only the shareholder this must surely sound the alarm that we cannot stand by and hope that existing industrial institutions will solve the many challenges currently facing society. If scientists’ warnings are heeded, humanity’s collective mission will shift from industrial development to preserving the world’s ecosystems. This will require new ideas, processes and businesses. A widespread, citizen-led revolution in how food is grown, prepared and brought to the table could tackle multiple problems from unemployment and obesity through to climate change and biodiversity loss. At a time of converging crises, an earthy solution is right under our feet. Making sustainable food production central to more people’s lives could fundamentally redirect the economy to a new, healthier trajectory. 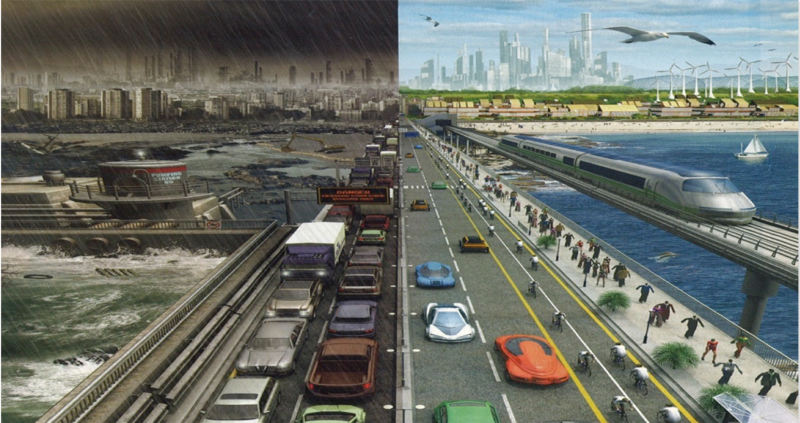 A future ‘ecological age’ beckons, where humans thrive within an abundant biosphere. How we feed ourselves is a fundamental upon which this future civilisation depends. When people are more closely involved with the local food systems that sustain them, anomalies like food crops from rainforests being used for fuel could be consigned to the past. Time is tight but the prospects are good. A sustainable food revolution will benefit humans and the planet’s ecological systems alike.